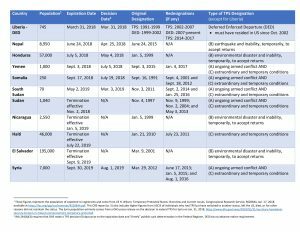 Other extraordinary and temporary conditions that prevent people from safely returning home to the country. 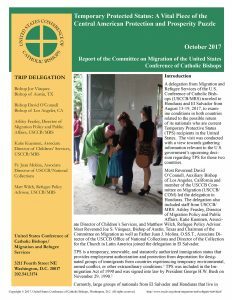 A delegation from Migration and Refugee Services of the U.S. Conference of Catholic Bishops (USCCB/MRS) traveled to Honduras and El Salvador from August 13-19, 2017, to examine conditions in both countries related to the possible return of its nationals who are current Temporary Protective Status (TPS) recipients in the United States. 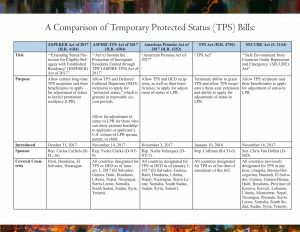 The visit was conducted with a view towards gathering information relevant to the U.S. government’s upcoming decision regarding TPS for those two countries. 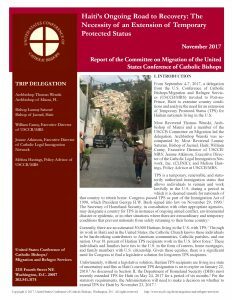 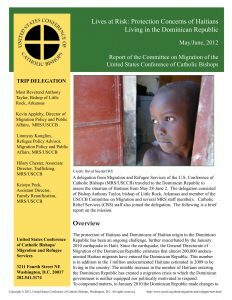 A delegation from Migration and Refugee Services of the U.S. Conference of Catholic Bishops (USCCB/MRS) traveled to Haiti in September, 2017, to examine conditions related to the possible return of its nationals who are current Temporary Protective Status (TPS) recipients in the United States. 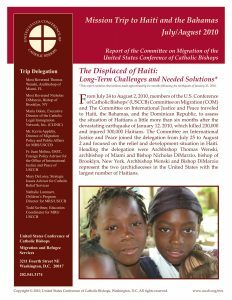 The visit was conducted with a view towards gathering information relevant to the U.S. government’s upcoming decision regarding TPS for those who are Haitian nationals.